Merry Maids of Victoria cares about your home and our planet. That’s why we use specially designed green products and equipment in every home we visit. We also ensure that all of our promotional materials are printed on recycled paper. Merry Maids of Victoria has also put forth an effort to reduce our carbon footprint by enforcing more efficient travel routes when visiting our valued customers. 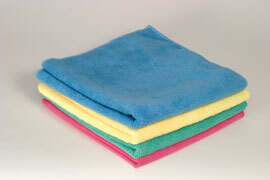 Below is more information about our GREEN CLEANING PROCESS. From an environmental perspective, the cloths last longer, are more effective (our teams require fewer cloths per home) and they require less energy to launder. Microfiber products are better for the environment inside your home because they improve indoor air quality by removing dirt and dust as opposed to traditional cloths that move dirt and dust around. 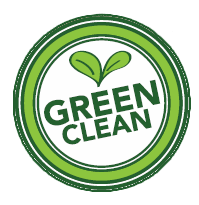 The Vacuums we use meet the Carpet and Rug Institute’s Green Label certification. This certification ensures that the vacuum does not release more than 100 micrograms of dust particles per cubic meter of air. At Merry Maids of Victoria we have proudly chosen the Pro-Team Alpine Backpack Vacuum. We are proud to introduce and use Merry Maids’ Private Label Brand of environmentally preferred cleaning products. The Shineffective product line features the Design for the Environment (DFE) logo. When the DFE Logo is displayed on a product it means the manufacturer has invested heavily in research and development to ensure the product has been formulated from the safest possible ingredients without compromising performance. The DFE Scientific Review Team has screened each ingredient in our Shineffective product line for potential human health and environmental effects using EPA predictive models and expert judgment. These are some of the steps that Merry Maids of Victoria are taking towards a greener future. For more information about our environmentally friendly cleaning services, please contact us by phone or by email.